The October 23rd Apple event is just around the corner. With all these rumors and alleged confirmations that have been posted all over the internet, it can be easy to get confused. To simplify the situation, we have decided to roundup all the rumors and predictions. 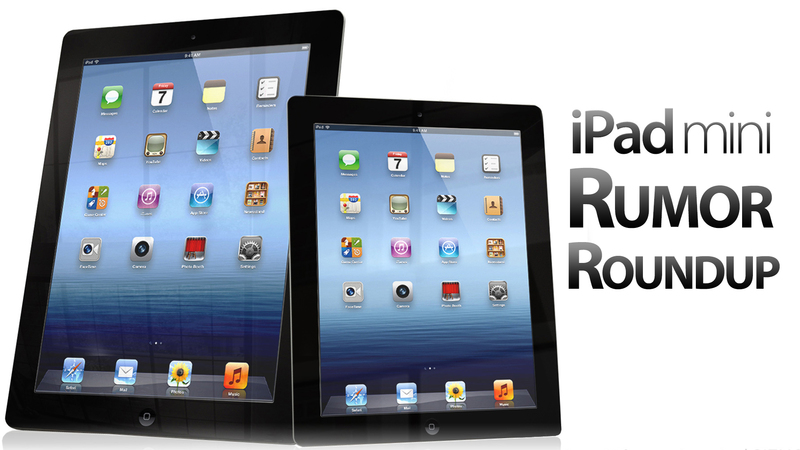 The highly anticipated iPad Mini has been rumored to be a 7″ tablet with a 1024×786 screen resolution. This is expected after the very successful launch of the Nexus 7 tablet released at Google I/O. Different from the Nexus 7, it’s possible that Apple will be releasing a total of 24 models of the iPad Mini. These models will likely include eight, 16, 32, and 64 gigabyte versions along with the option for a black or white version. Due to its small size, it’s likely that Apple will release a 4G capable model as well. As previously predicted, a 13″ Retina MacBook Pro is very likely to be released at the event as well. It is expected that there will be a total of two versions of the device. The lower-end model will likely consist of a lower CPU frequency, 128GB SSD, and 8GB of RAM. The higher-end model is likely to possess a CPU with a higher frequency, 512GB SSD, and a maximum of 16GB of RAM. The majority of these differences are likely to be similar to the differences between the 15″ MacBook Pro models. The Mac Mini, last updated just over a year ago, is also predicted to receive a refresh. This time, Apple will be releasing a consumer version along with a server version. The consumer version, of course, will consist of consumer-grade specifications while the server version will likely consist of more memory and a more powerful processor. Out of all the updates being done to Apple’s products, the iMac will likely receive the most attention excluding the iPad Mini. Last updated over 500 days ago, the iMac is predicted to be released with a 21.5″ and 27″ display and could potentially include an nVidia GPU. Judging from the information we have received from an alleged Apple factory employee, the iMac will be significantly thinner as well. What are your thoughts and predictions for the Apple event? Please post a comment below to let us know.